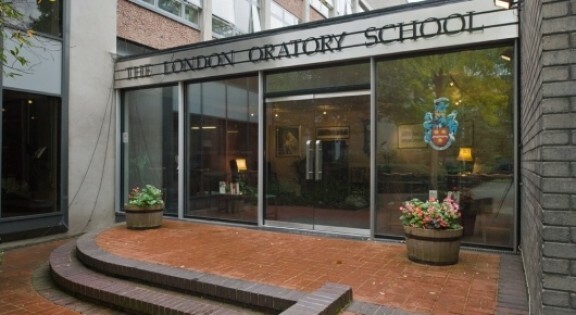 The London Oratory School is a highly regarded Roman Catholic grant aided school in Fulham with a very wide catchment area. Phase II of the project involved the interior fit out and exterior cladding and finishing of the building. Internally this involved the integration of all mechanical and electrical services into the building, including data and telephones. Richardson & Peat also managed the entire material supply and internal fit out, including doors, door frames and skirting boards, plastering and a new staff kitchen. Three sets of moveable wall systems were built into the ground floor to divide the space in to rooms. Externally Richardson & Peat fitted timber brise soleil to the front elevation as well as the external zinc cladding finishes on the first floor. Work extended to the playground surrounding the building, which Richardson & Peat parcialy resurfaced. "We were very impressed with the manner in which Richardson and Peat took over Phase II and their light touch management approach to completing the contract for the start of the school term."